A brand new blog and the first post…We are excited about our third Wakefield Knitting Retreat and want to let everyone know what is being planned for this year on the May 4-6 weekend. The Retreat will once again be held at the Barn, a beautiful old structure right on the edge of Gatineau Park where we can spend the weekend knitting (of course), socializing, learning, relaxing and eating great food. 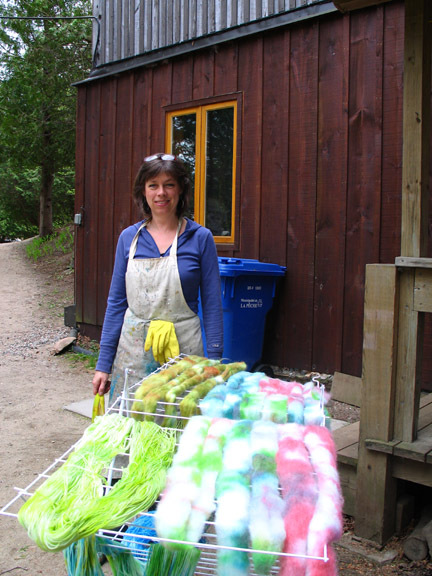 In this workshop you will learn how to create fabulous painted yarn with professional acid dyes. The colours you can achieve are brilliant and endless! Acid dyes use citric acid, which is a food safe acid. 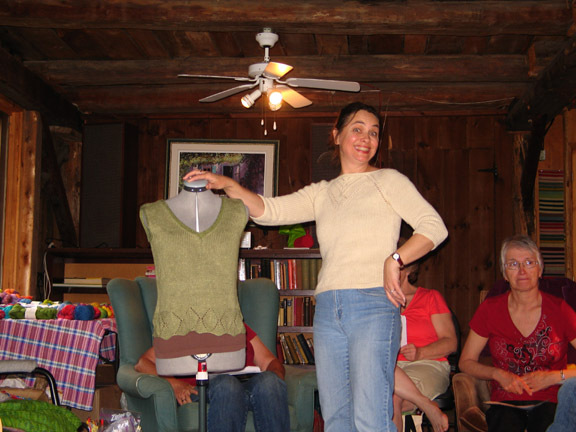 You will learn to paint self-striping multicoloured yarn, and kettle dye using common kitchen tools, like a crock-pot. You will learn how to knit two “right side” fabrics at the same time, creating a double-thick, fully reversible piece of knitting. Double knitting is a great way to do colourwork and is perfect for knitting hats, scarves and cowls. Short rows are rows that are partially knitted, then turned and worked back. This technique adds shape without increasing or casting on more stitches.They can be used to create a slope (shoulder line), create a contour (sweater bottom, collars) and bust darts. We will look at different methods for working short rows and how you can incorporate them into your knitting. We have room for only 12 participants so if you are interested in coming for the weekend, please let us know soon and we’ll reserve a place for you. The price will be $300, which includes three workshops, all meals, snacks, and dormitory style accommodation. In the past the meals have been feasts with delicious, healthy offerings. This entry was posted in Wakefield Knitting Retreat and tagged dyeing yarn by Three Crazy Knitters. Bookmark the permalink. Congratulations on your blog!!!!! and my cheque is on it’s way! can’t wait ! I heard that you had a great yime last year. I wish I lived closer!